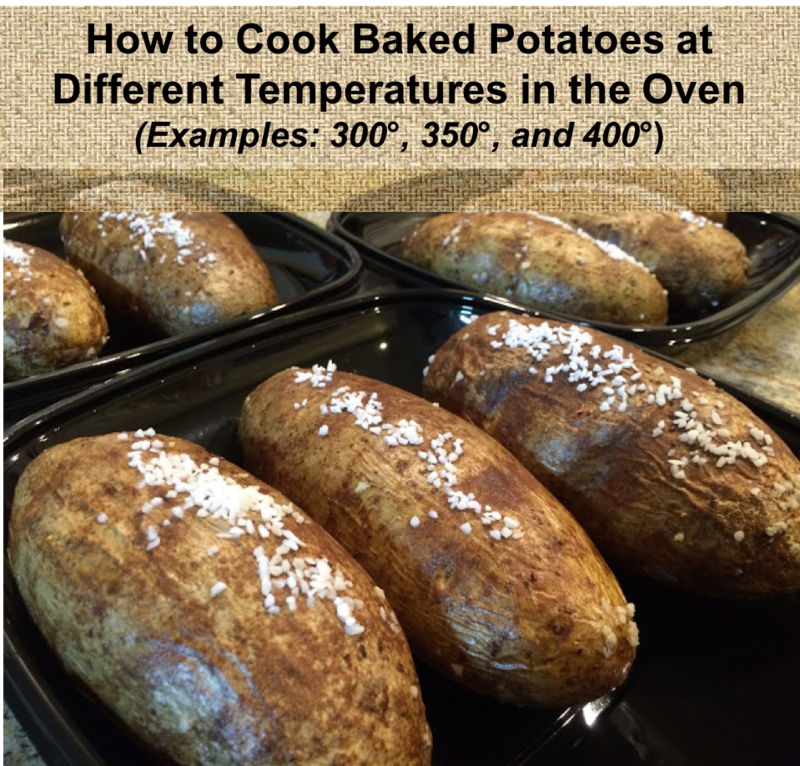 When it comes to baked potatoes, there is flexibility on the oven temperature, but you'll have to adjust the cooking time. It doesn't make a big difference in taste, but rather is more of a practical issue since you may be cooking other things in the oven at a specific temperature and want to optimize your oven space and time. You may also have a schedule where you want to use a higher temperature to bake them quicker! So let me share the breakdown that we use! 1. If baking at 300-degrees, plan on baking them for approximately 90 minutes. 2. If baking at 350-degrees, plan on baking them for approximately 70 minutes. 3. If baking at 400-degrees, plan on baking them for approximately 50 minutes. Of course, potatoes come from nature and ovens may not be completely accurate, so use these times as a general guide and carefully double check whether they are done or need more time.